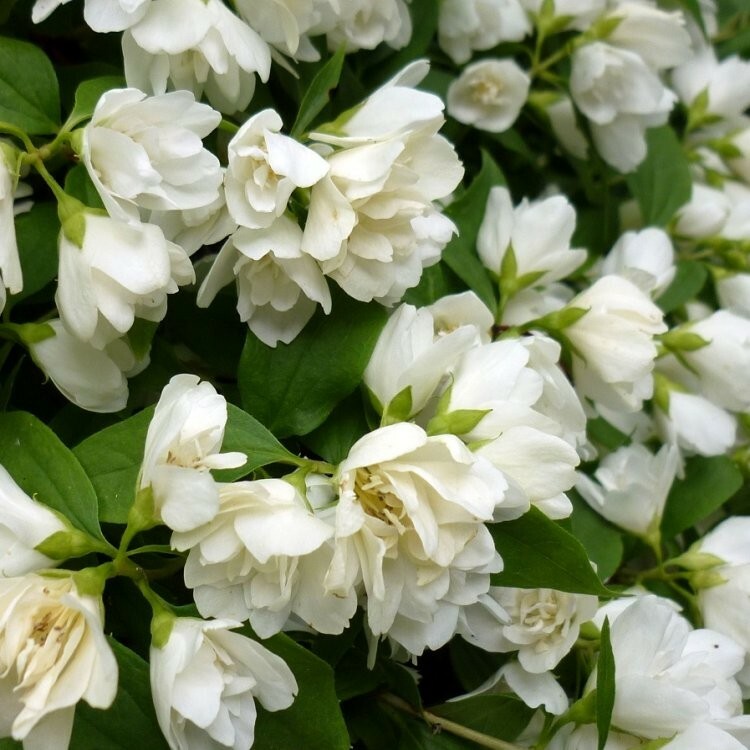 This Summer Blooming Mock Orange Shrub has arching shoots that become smothered in double, creamy-white flowers above mid-green deciduous leaves. On warm, summer evenings, the flowers delicate, orange-blossom fragrance floats on the breeze, filling the surrounding air, hence the common name of Mock Orange Blossom. 'Manteau d'Hermine' is a compact, bushy, variety that is perfect for a small garden or spot where border space is limited. An essential, low-maintenance shrub for a sunny mixed border, it is also good in coastal and urban situations, being able to deal with air pollution and salty air well. Supplied in approx 2-3 litre containers.